The Institute for Canadian Citizenship is proud and grateful to announce Ontario150 as a Presenting Partner for 6 Degrees Citizen Space, taking place September 25-27, 2017. Minister Eleanor McMahon, John Ralston Saul, The Rt. Hon. Adrienne Clarkson and Minister Charles Sousa. This support will make possible our outstanding lineup of thinkers, doers, executives, artists, politicians, and civil society leaders who will assemble in Toronto to explore citizenship and inclusion over three days at the Art Gallery of Ontario and Koerner Hall. 2017 is the 150th anniversary of Ontario as a province. To recognize this historically significant year, the government has launched Ontario150, a year-long commemoration that is honouring the province’s past, showcasing the present and inspiring future generations. Through the Ontario150 grant programs and a series of signature initiatives, Ontario is engaging youth, encouraging cultural expression, promoting participation in sport and recreation, and creating economic opportunities across the province. 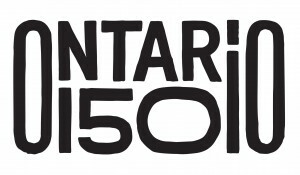 More information about Ontario150 can be found on their website, and by following the #Ontario150 hashtag on Twitter. 6 Degrees, the global platform on citizenship and inclusion in the 21st century, is an initiative of the Institute for Canadian Citizenship, co-founded and co-chaired by The Rt. Hon. Adrienne Clarkson, 26th Governor General of Canada, and John Ralston Saul, one of Canada’s leading intellectuals. The Institute for Canadian Citizenship is most appreciative to Minister McMahon and her team for their continued support and remains grateful to The Hon. Charles Sousa, Minister of Finance, for championing this valuable partnership from the very start.